NIAB recruitment 2017 notification has been released on official website www.niab.org.in for the recruitment of total 05 (five) jobs out of which 01 (one) vacancy for Sup. Engineer, 01 (one) for Security Officer & Various Vacancies. Job seekers should apply from 02nd December 2017 and before 01st January 2018. Here on this page you will get the details like the Name of vacancies released by NIAB with exact number of posts. 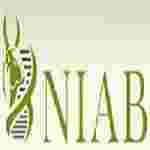 Some other criteria like Education details, application fee and way to apply application for NIAB recruitment 2017. Educational Qualification: PG in Civil / Electrical/Mechanical Engineering with 10 years of experience for S.no-1. Graduate with 50 % marks from a recognised University and more than 10 years of service in Defence/para-military forces for S.no – 2. Age Limit: The age of candidate should be between 50 years for S.no-1 & 35 years for S.no-2 as on 01.01.2018. Fee charges: Applicants who wanted to participate for NIAB should pay the below charges through crossed Demand Draft drawn on any nationalised bank and valid for at least 3 months in favour of “National Institute of Animal Biotechnology, Hyderabad” payable at Hyderabad, preferably Punjab National Bank, Gachibowli (Code No.PUNB0498700), Hyderabad. Interested and eligible aspirants should apply online through the website www.niab.org.in from 02.12.2017 to 01.01.2018 and send hard copy of online application along with self-attested copies of certificates, mark sheets, testimonials send to Senior Manager, National Institute of Animal Biotechnology, D No. 1-121/1, 4th and 5th Floors, Axis Clinicals Building, Miyapur, Hyderabad, Telangana, India – 500 049 on or before 05.01.2018.